We are leading Portable cabin manufacturer of India. 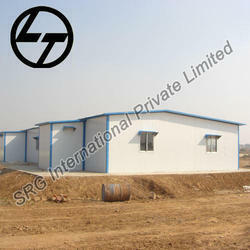 We manufacture porta cabin, portable cabin, bunk house, office container, mobile toilet, Bio toilet and many products. 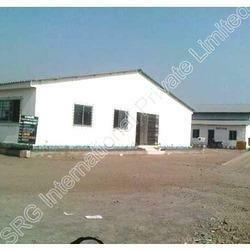 We are among the leading organizations engaged in offering Construction Site Office. All these products are manufactured under the supervision of our professionals, in compliance with the defined parameters of the industry. Furthermore, to cater to the divergent demands of the clients, we offer these products in different sizes and colors that can be customized as their requirements. Construction site office can be a marketing site office & production site office. 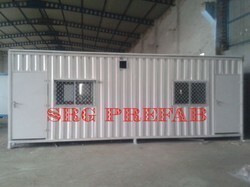 SRG prefab portable cabin are available in different material for different purpose. With unwavering support of our professionals, we have gained competency in developing the best range of Prefabricated Office. Our professionals manufacture these products by making use of high-grade basic material which they procure from the accredited names of the industry. Our prefabricated offices is made from prepainted GI panels which are machine made panels and provide excellent insulation in its class. 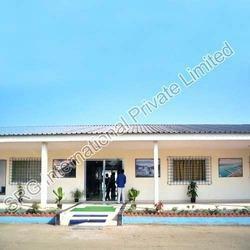 As Name suggest prefabricated office are made in factory and assembled at site, hence assemble and dismantling is very easy. With through knowledge of this domain, we have been able to provide our clients with the best-in-class Ware House. To ensure optimum-grade, we manufacture these products by making use of high-grade basic material and latest machinery in line with the defined parameters of the industry. Furthermore, to meet divergent demands of the clients, we offer these products in different sizes and colors. We also provide installation services of these ware houses. We hold all the aces in designing and developing the best-in-class range of Cement Board Portable Cabin. Manufactured using high-grade basic material, these cabins conform to the defined parameters of the industry. These cabin can be installed at construction sites and others. Portable cabin made of cement board (aero con panel ) have great looks and durability. Cement board portable cabin can be painted to any color and texture and also false sealing in portable cabin makes the whole cabin more beautiful and attractive. Prefab Cement fibre board portable cabin is made from bison or aero con panels which can be assembled or disassembled at any point of time. we are india's leading manufacturer of Relocatable Shelters in gurgaon delhi ncr we have a vast varities of porta cabin starting from bunk house, portable cabin, conatiner office, mobile toilet, cement board cabin, Pvc cabin and many more. 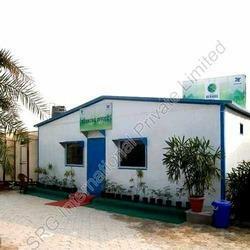 SRG porta Cabins are made of recyclable material like steel structure and insulated panel of color coated sheet, which makes it strong yet environment friendly and also allows it to save energy as finest quality insulation sheet is used. Moreover, for its cabins SRG uses polyurethane rigid in sandwich panels which makes them perfect insulation material. 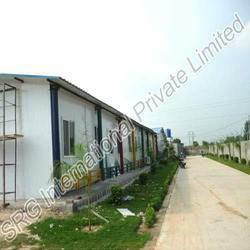 SRG introduce FRp look portable heat insulated cabins which can be installed even on top floor of the building. Frp look portabl;e cabin are very durable and long lasting cabin very attactive and ecnomical too. our portable cabin are made for external purpose hence it is weather protected even in harsh summer or winters. We hold all the aces in designing and developing the best-in-class range of EcoPortable Cabin. Manufactured using high-grade basic material, these cabins conform to the defined parameters of the industry. These cabin can be installed at construction sites and others. Portable cabin made of cement board (aero con panel ) have great looks and durability. Cement board portable cabin can be painted to any color and texture and also false sealing in portable cabin makes the whole cabin more beautiful and attractive. Prefab Cement fibre board portable cabin is made from bison or aero con panels which can be assembled or disassembled at any point of time. We are Leading manufacturer & supplier of mill pulpits/ control rooms and prefabricated operation theater. Also offer BTS shelters, bunk house, CRM pulpits, clean room & cold chain solutions.